Jonesborough Days is here again! The Festival will be Thursday, June 30 – Saturday, July 2. For an entire weekend schedule, click here. The Chester Inn State Historic Site & Museum will be open extended hours from 11-7 on Thursday, and 10-7 on Friday and Saturday. We’ll have Historic Walking Tours with our costumed guides on Friday at 11:00 and 1:00 and Saturday at 1:00. Tours are $5.00. Tickets are available in the Museum. In addition to all that, we’ll have activities for kids in the #OnlyInJonesborough Discovery Park behind the International Storytelling Center. Oak Hill School will move outside, complete with desks and quill pens. Join our Schoolmarm on Friday and Saturday at 12:00, 12:30, 1:00, and 1:30 for quill pen lessons. We’ll also have Heritage Games from 12:00-8:00 in the park. Learn to play a game of Graces, skip a rope, engage in a round of Nine Pins, and so much more! Come back to school this summer at Oak Hill School! 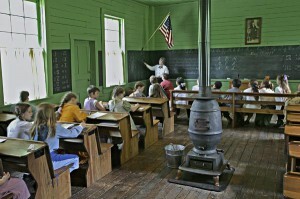 Built in 1886 by the Knob Creek Community, Oak Hill School housed first through eighth grade students until 1952. It was relocated to Jonesborough and preserved, and today it continues to welcome students. Guests will step back in time, hear the stories, write with a quill pen and experience history this summer with Oak Hill School’s summer programs for children and adults. The Heritage Alliance is hosting two special events in the historic schoolhouse this July. On Saturday, July 16, from 1 to 3 p.m., kids of all ages are welcome to come hear stories from the Jonesborough Storytellers Guild. These stories are perfect for families and the event will be led by Mother Goose herself. The concert is free, and any donations will go to the continued care and maintenance of Oak Hill School. Why should kids have all the fun, though? 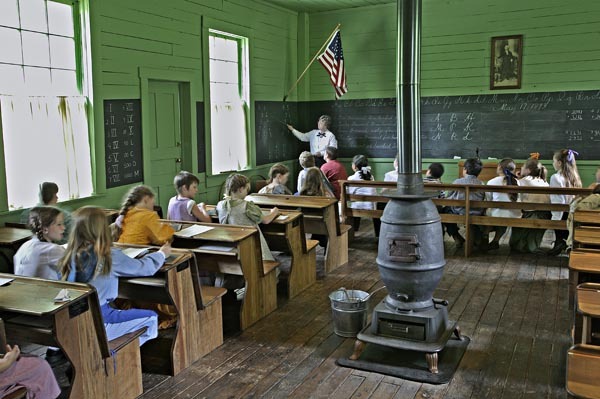 On Friday, July 22, the schoolhouse will be open for a Big Kid Day, where students 18 and older are welcome to come and experience a school day in 1893. The day will start at 9 a.m. and end at 1 p.m. and will include lessons in arithmetic, reading, penmanship using quill pens, history, geography and much more. There will be recess, of course. The cost for the day is $5 per student and reservations are required as space is limited. The money will assist with the continued maintenance of the building and help support the Oak Hill School Heritage Education Program. Through this program, students from across the region visit Oak Hill School for an experiential, hands-on learning experience. Registration is required for both events by contacting the Heritage Alliance at info@heritageall.org or calling 423-753-9580.